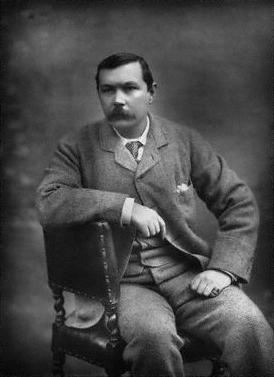 Arthur Conan Doyle Experience is a talk about Edinburgh’s famous son, delivered in a magnificent example of an original Victorian town house which commemorates this great man of literature. Author of Sherlock Holmes – but what else is he famous for? Get more info at the Edfringe website. This entry was posted on July 15, 2014 by Phoebe Darqueling. It was filed under Performing Arts, Steam Tour, Travel and was tagged with Arthur Conan Doyle, Neo-Victorian, Professor Challenger, Sherlock Holmes, Sir Arthur Conan Doyle, steam punk, Steampunk, Travel, Victorian era.